This page provides a number of tools to assist you in planning for your retirement. In any case, please always consult a financial adviser. Want to try calculating your monthly expenses in retirement? Follow this link for an interactive worksheet designed to help you estimate your expenses in retirement. This worksheet can help you estimate your total monthly income in retirement. Follow this link to fill out an interactive worksheet that can help determine whether your retirement income will meet your needs. If you would like to calculate an estimate of your retirement income should you choose to purchase a life annuity with your ELCIC pension account, this button will lead you to a simple calculator. You will need your latest ELCIC Pension Statement for some of the information that is required for input. You will also have to make some assumptions. With this calculator you can try different scenarios and see how that might affect your retirement income. What happens to your pension account at retirement? In your years working for the ELCIC you have been saving a portion of your salary to support yourself in your retirement. Your account balance (reported on your semi-annual member statement) must be transferred out of the ELCIC Pension Plan and used to create income in your retirement years. There are several options for you to consider in order to create this income. Please contact GSI a few months before you plan to retire to request the required forms needed to make your pension election. GSI will transfer your account balance to your financial institution (or the group account – see below) on a tax free basis when final contributions are received and all forms are properly completed. GSI has sponsored a group plan for former members (and spouses) of the ELCIC Pension Plan as an alternate option for your pension account balance when you are ready to start your pension income. The group plan might give you more flexibility and lower fees than the offerings on the retail market. The post-retirement group plan offers LIF/RRIF products and a variety of investment choices approved by the GSI Board in compliance with the Statement of Investment Policies for the ELCIC Group Investment Accounts. We have provided a general list of the options featured in the group plan. Please contact Eckler (see next section) for a full description and prospectus of each option. Here is a list of fund options and their associated fees. GSI has partnered with Eckler to assist you in transitioning and setting you up in the group plan products. If you would like to know more about this please call James Ralko at Eckler toll free at 1-877-988-1581 for a brochure and fund information. Eckler can also answer you questions regarding your government benefits, RRSP’s and taxes. Alternatively, if you would like to purchase an annuity, Eckler, at your request, can gather market quotes from the life companies and assist you in making your selection and getting you set up. Just call the toll free number above or contact GSI. Shepell fgi has a career couselling service that can also assist you in retirement planning. This retirement counselling fact sheet will give you more information on this service. If you would like more information about the ELCIC Pension Plan, planning for retirement and how the various retirement option work please view the videos below. They are only a few minutes long but contain a lot of information relevant to you at any age. This video was prepared to assist plan members in early stages of financial planning for retirement. It will help plan members to thing about their financial goals and how to relate those to their available assets. This video describes how the ELCIC Pension Plan accumulates funds for retirement in a plan member’s account and how that account can be used to create retirement income in the form of a life income fund. This video describes how the ELCIC Pension Plan accumulated funds for retirement in a plan member’s account and how that account can be used to create retirement income in the form of a life annuity. A LIRA is also known as a Locked-in RRSP. Money in a LIRA is to be invested for the purpose of purchasing a life annuity contract or transferring it to another vehicle that provides retirement income. A LIRA cannot be withdrawn, or transferred except as permitted by the applicable legislation. A LIRA is similar to an RRSP in that it is an accumulation plan. Members would transfer their locked-in money from a DC pension plan into a LIRA if they do not want to receive retirement income yet, or are not allowed to commence retirement income yeat under the rules of the applicable legislation. A LIRA is distinct from an RRSP in that the locking-in rules under pension standards legislation applies to a LIRA. In addition, pension standards legislation may impost other requirements, such as spousal rights and creditor protection, which will vary by jurisdiction. An LRIF is a locked-in registered retirement income fund (RRIF). Under an LRIF, the money is locked-in and may be used only to provide retirement income. An LRIF owner may determine their annual income from the LRIF, but it cannot be less than the minimum required by the ITA or more than the maximum permitted by applicable pension standards legislation. Depending on the jurisdiction, an LRIF can start no earlier than age 55 (or earlier if allowed by originating pension plan). Money in an LRIF can be transferred to a LIF, another LRIF, LIRA (before age 71) or used to buy a life annuity contract. The money can remain in an LRIF for the lifetime of the LRIF owner. A LIF is a locked-in RRIF. Under a LIF, the money is locked-in, and maybe used only to provide retirement income. A LIF owner may determine their annual income from the LIF, but it cannot be less than the minimum or more than the maximum permitted by applicable pension standards legislation. Depending on the jurisdiction, a LIF can start no earlier than age55 (or earlier if allowed by originating pension plan). Money in a LIF can be transferred to another LIF, LRIF, LIRA (before age 71) or used to buy a life annuity contract. In some jurisdictions, all remaining assets in a LIF on Dec 31st of the year the owner reaches a certain age must be used to buy a life annuity contact. A pRRIF is a RRIF subject to pension standards legislation. Under a pRRIF, the money is not locked-in so that the pRRIF owner must withdraw the minimum amount required under the ITA but there is no maximum withdrawal amount. This provides retirees with flexibility in determining how much income is withdrawn annually and how the money is invested. However, pension standards legislation may have other requirements such as spousal protection or creditor protection. A life annuity contract provides a series of payments in return for a lump sum paid up front. A lump sum of money is transferred directly from a pension plan, LIRA, LIF, LRIF, or pRRIF to a life insurance company to purchase an annuity. In return, the issuer pays the member an annuity on a regular basis (monthly, quarterly, semiannually, or annually) for the remainder of the member’s life. 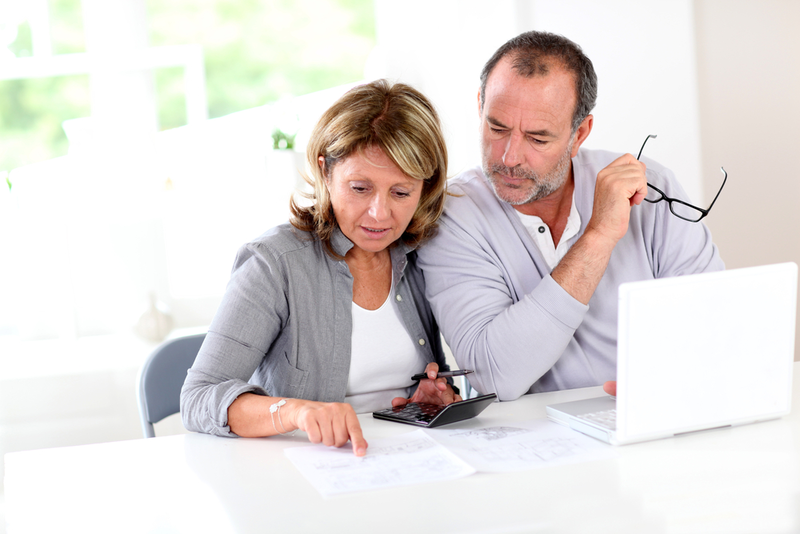 Pension standards legislation requires that the annuity be a joint survivor annuity if there is a spouse at the time the annuity is purchased. The exception to this is where the spouse waives his or her right to the survivor benefit under the annuity.